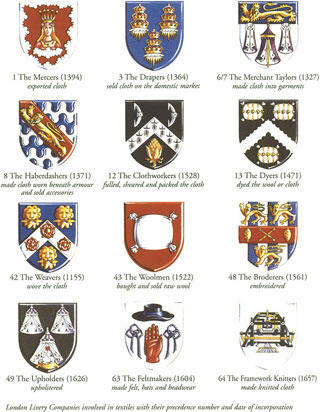 Guilds have in the past been very important parts of the small business model. It may be that the current economy is in a state where guilds can once again be beneficial, and possibly can be even more beneficial than they were in the past. This combined with bartering could greatly improve the condition of America. Guilds have been around for quite a long time. Most people have heard of guilds but aren’t completely sure as to what guilds are. A lot of the time people just assume that the term guild is another word for union. However they are most definitely not the same thing. First, the timeline is different. Guilds existed long before modern unions. They have been around since at least the middle ages if not as far back as ancient Rome and Greece. Second, while unions are a collection of employees usually of a single company working to bargain with their employer, guilds exist for sole proprietors. The guilds during the middle ages gained popularity partially because they were able to gain protections against oppressive dictators in the government. They also served as a place where people wanting to enter a craft could train. This made them in part similar to trade schools. They also gave many benefits to those not in the guild. Before internet multimedia gave us the ability to individually rank a product or a company, people would rely on the reputation of a guild. Some more information on guilds can be found here. Guilds fell out of fashion for a few reason. First, trades in America were partially replaced with mass production lines. Second, a lot of people thought that unions and guilds shared a similar enough purpose that guilds weren’t needed when unions were so prevalent. The third reason is probably one of the most powerful reasons. Children are forced to participate in standardized education until age 18. After which there isn’t sufficient time to study a trade in a guild before getting a job. This has gotten even worse with the push for tertiary education. Of course, in America the public school system is completely shot and most of this is a waste of time. Modern guilds could be established to serve many purposes. First, we could see a return to quality crafting. People are starting to get really tired of low quality products that are mass produced overseas. People are also starting to want more custom products which they can not get from a major producer. Second, we could partially repair our education system by allowing an alternative education plan. While there are other options such as modeling our program after Finland’s education program, it’s most likely that America will want to try something a little different. Third, guilds could partially replace the need for government run social programs such as a retirement system and health care program. Again, Americans for a large part do not like to see massive government programs. This would be an alternative to such programs. One issue with guilds in modern times is that they do not have a major support network, which really is going to be necessary if we are to see large scale reemergence of guilds. An ideal option would be a non profit organization that helps to establish and maintain guilds.